Should Indian companies enter the Mexican Software and IT Sector? In the last 3 articles of this exclusive series on business opportunities available for Indian and Mexican entrepreneurs, we have focused on the astounding diplomatic and economic relationship between the Latin and South Asian countries, as well as zeroing in on the details of the ceramic, energy and automotive industries. Each industry demonstrates interesting trends. The second two articles spoke about industries that are firmly established on Mexican soil, and represent an opportunity for Indian companies to learn and improve from their “elder-brotherly” like industry equivalents whilst also representing an illustrious and fruitful economy that entrepreneurs could enter. In the final article of the series, as is the case with the ceramics industry, we will be analyzing information which more or less demonstrates the opposite trends to those seen in the energy and automotive industries. Like the ceramics industry, the IT and Software sector is not, at least until recently, traditionally a field you would associate with Mexico. On the other hand, the influence of Indian companies in information technology services is legendary, and one of the largest in the world. This article will bring you up to date with the current performance of each country within the sector and highlight some pertinent developments and opportunities for further cooperation between these two emerging superpowers. It is worth beginning the following number-crunch of India and Mexico’s industries with this stat: The overall worth of global IT spending is valued at over USD$3.5 trillion. This figure is provided by the various subcategories of technology including hardware and software, e-commerce and internet services all the way through to electronics all contributing to the general term, IT. Concepts such as The Internet of Things (IoT) and Big Data have slowly entered the realms of reality meaning tech is now undoubtedly the dominating force in the global economy. It has penetrated all walks of life and continues to dig deeper and deeper. India is one of the leaders of this global revolution. 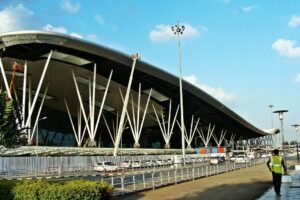 Driven by the electric, hyper-modern “Indian Tech Capital” Bengaluru, formerly Bangalore, the Indian technology industry has had a stalwart presence in the global scene for decades. Emilien Coquard, a French businessman who has lived in Bengaluru since 2011, shared with the Guardian Newspaper his opinion on how the industry has blossomed into a more dynamic and interesting space: “There’s been a shift from a software-factory model to a startup mindset. Twenty years ago people entered IT engineering because that’s where the jobs were – now they’re doing it because they’re genuinely interested in tech, and they’re super excited to be working in software development.” The numbers firmly support Coquard’s intuition as India has shattered any stereotypes of an underwhelming service-based market to emerge as one of the most attractive jurisdictions in the world for innovative tech-orientated companies. India boasts an impressive portfolio of global tech giants, with TCS, Infosys and Wipro all smashing the USD$5 billion annual revenue mark. Wipro has already established operations in Mexico, in their “Silicon Valley” state of Jalisco. This process has included the opening of a $25 million Wipro headquarters in Tlaquepaque, Jalisco as well as hiring over 2500 employees. The Indian IT headcount is roughly 10 million strong, with subsidiaries across the country enjoying success. Bengaluru was voted the Worlds Most Dynamic City in 2017, whilst the following year, a new Indian city stole the headlines as Hyderabad won this prestigious award in 2018. It is proof that the buzz is spreading through the entire country, with over 3000 tech-based start-ups across the region. Finally, it would appear that all evidence is pointing to a refreshment of the Indian tech market. In May 2018, Walmart purchased e-commerce platform Flipkart for an eye-watering USD$16 billion. Evidence also suggests that India is making significant ground in terms of making the tech industry more egalitarian and socially conscious. Tech is an industry riddled with inequality issues, where men are represented at the top by a hugely disproportionate margin. Unfortunately, there is a similar pattern in Indian society, from politics to business, women are still facing obstacles in reaching the top. It is, therefore, a gigantic leap forward for the industry and for India that the new president of the National Association of Software and Services Companies, essentially the chair of the entire $167 billion IT services industry, will be Debjani Ghosh. She is the first chairwoman in the company’s history. Mexico’s Market Slowly Turning Heads. The Mexican tech industry is booming and has really come into the fore in the last decade. The number of software jobs grew at a rate of over 7% in the three largest cities in Mexico, Mexico City, Guadalajara, and Monterrey in 2017. The number of jobs in an industry is a rough indicator of the demand for the service and of the strength of the industry. These figures are those of an industry firmly on the rise. Jalisco, alone, registers tech exports of over $20 billion a year and numbers across the board are equally impressive. The reasons for this explosive entrance into the global market are varied and complicated. The main reason is as a result of Donald Trump’s controversial decisions regarding immigration. Trump, in an attempt to curb the huge numbers of Mexican and Central American people seeking a stronger economic future in the United States, introduced tight constraints on H-1B visas for skilled workers. This measure, combined with a separate crack-down the many hundreds of thousands of Mexicans that are liable to deportation as a result of a botched execution of the Development, Relief, and Education for Alien Minors Act, a piece of legislation that aimed to incorporate young immigrants into the American system. In tandem, these visa tightening measures have created a new wave of opportunities for Mexico. Given the aforementioned legislative steps, many US, European, and indeed, Indian companies are choosing to settle south of the border and establish all of their operations from outside of the US. This phenomenon, known as near-shoring, is a response to the complicated and frustrating reality of doing business in the US. Mexico provides a natural and obvious alternative to the United States and provides many advantages that give it the edge. Firstly, certain costs such as production and wages can be significantly lower. According to figures from 2011, average market hourly rates in the United States and Canada average at around $35 whilst in Mexico they are just $6.50 an hour. Furthermore, the proximity to the United States, as well as an incredibly well-established airline network, means that it is more than feasible for businessmen and women to fly to Mexico based north of the border to attend meetings, sign any relevant documents and snack on a taco or two in one day. It means all administrative tasks can be done from the States whilst operation takes place in Mexico. Indian companies have been quick to take advantage of this near-shoring model. There are currently 5 major Indian companies successfully operating in Guadalajara, a quite astonishing feat given that the first to arrive was just 7 years ago. There is an interesting and curious balance to the Indian-Mexican tech relationship. Mexico is a far younger and fresher market than India. India had already established itself as one of the leading players in the global economy when Mexico entered the market. Despite the fact that operational costs in Mexico are marginally higher than in India, the hyper-competitive nature of the Indian domestic market has meant that many Indian companies see Mexico as the ideal location given the proximity to the US. 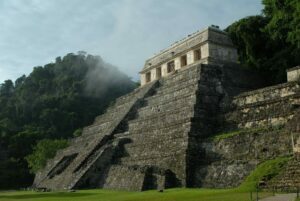 Given the numerous comparative features that do exist between the Mexican and Indian market, it would appear that the best course of action for potential Indian suitors is to cooperate with experts from Mexico to establish a strong and stable business framework in order to enjoy the accessibility available to the American and Latin markets. Do you want to set up a tech company in Mexico? Given the established success of the Indian market and the emergence of the Mexican market, now is the time to commercially enter Mexico.